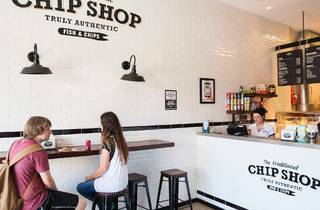 Compared to what it is in the UK, Australian fish and chips is a whole different kettle of, well, fish. Here it’s about sitting beachside on a warm day and eating barramundi with the sunshine on your face and sand beneath your feet. 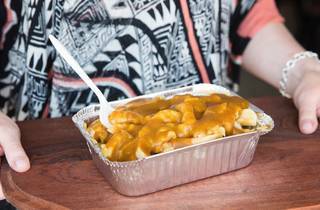 There it’s a much more cosy affair – you head to the nearest chip shop on a cold night, and fight over who gets to have the steaming hot, newspaper-wrapped parcel warming their lap on the car ride home. 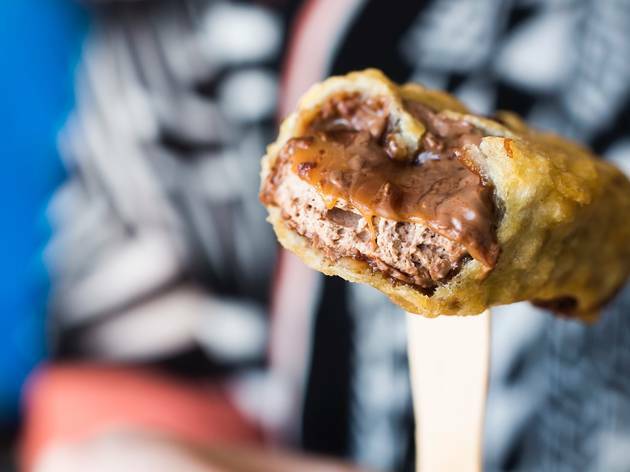 It’s a portable hot water bottle; but better, because you get to eat it. 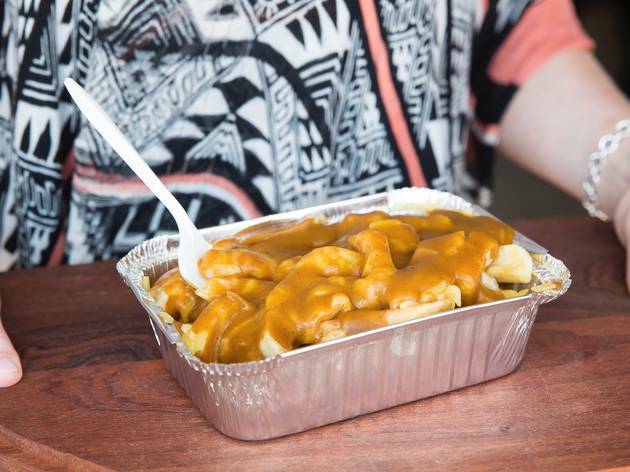 The dish tastes different in the UK too. 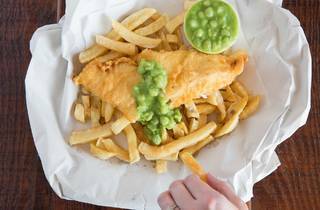 Not only is the fish itself a North Atlantic species like cod, haddock or whiting, but the chips are also generously showered in salt and vinegar. That way, they’re soft and melty by the time you eat them. 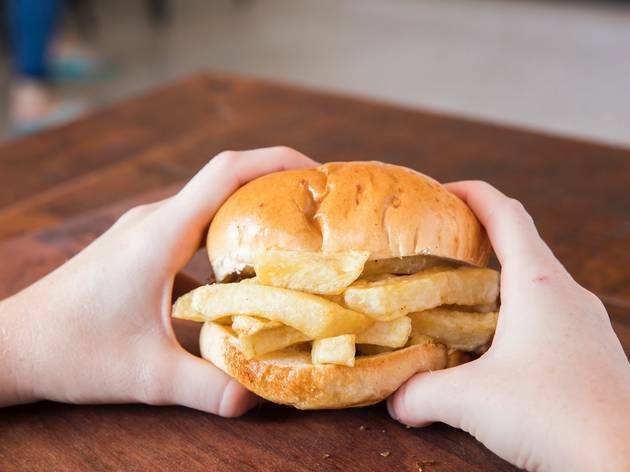 It's a world apart from our thinner and crisper Aussie cuts. 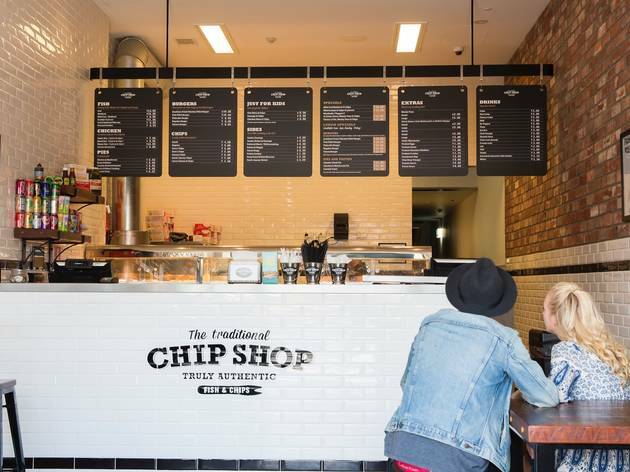 So when we got wind that a British-style chippy – appropriately named the Traditional Chip Shop – had arrived in Bondi Junction, we had one question: Would it be an authentic interpretation, or fall back into the Aussie palate's safety net? 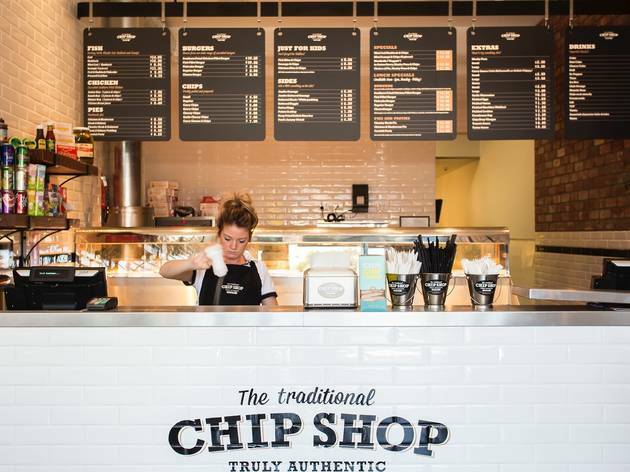 On first glance, they seem to tilt towards the former – diners can choose from cod, haddock or scampi for their supper. 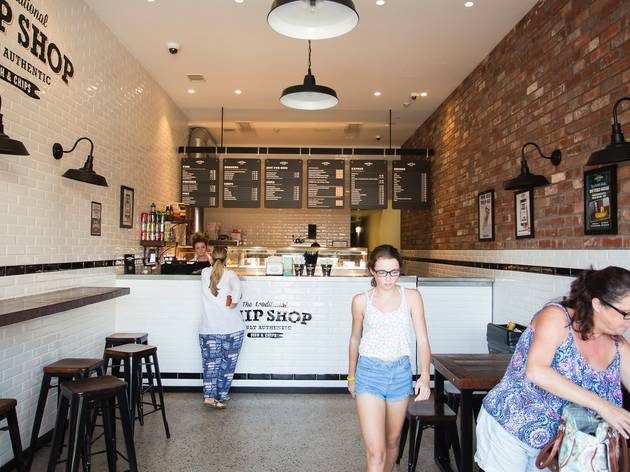 It lends a dash of authenticity to the proceedings, if not sustainability; we'd love to see a sustainable Aussie breed on the menu for the sake of ethics, and the planet. 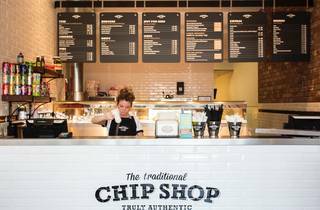 The extensive menu includes steak and kidney pies and puds, battered sausages and black and white puddings, but really, there’s one thing you should be ordering. It’s called ‘mini cod or haddock & chips’, which is weird given it's not that tiny, and will easily feed one whole, hungry human. 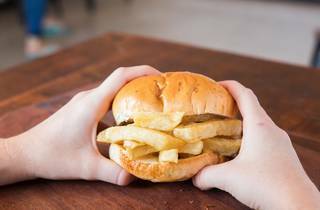 They'll ask if you want salt and vinegar, and you should abide; it’s the only way to eat this stuff. 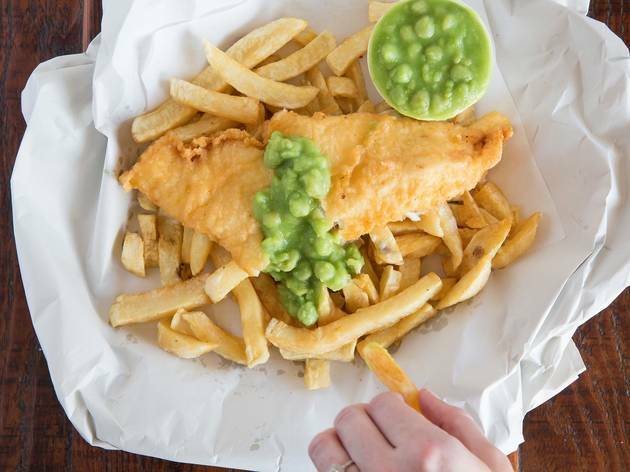 Tear through the paper, and inside you’ll find a decent-sized piece of fish – crisp, dry batter outside; tender flakes within. 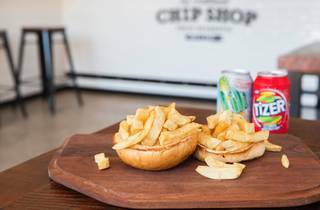 The tonnes of chips beneath taste just as they do in the UK – soft in the centre with a lightly golden exterior made deliciously damp from the vinegar. 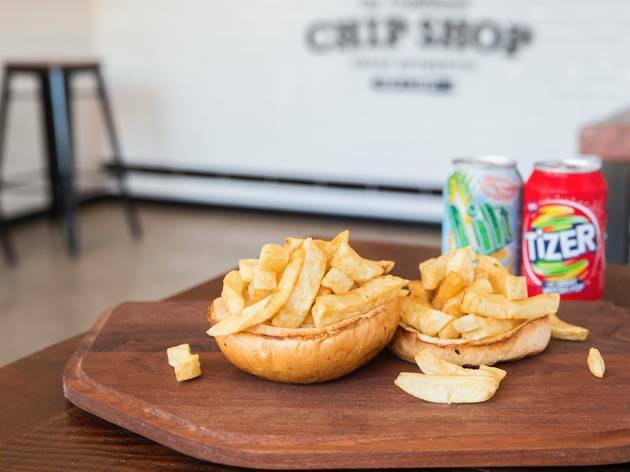 Order a buttered bap on the side and make yourself a ‘chip piece’, as they say in Glasgow. You won’t be sorry. 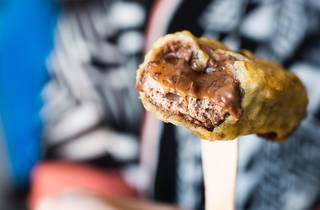 This is dinner that's designed to be eaten with your hands down the shipyards. 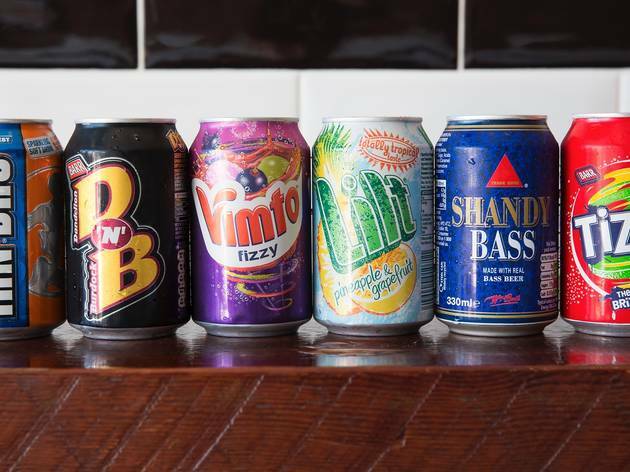 So when you're ordering soft drinks – and they've got all the British classics – ditch the posher DnB and get down and dirty with the blue-collar stuff. For our pick, the Irn Bru does it. 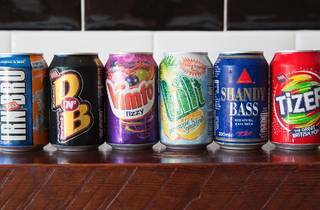 This bright orange Scottish drink outsells Coca-Cola in its home country, though good luck trying to explain the taste. It's just really bloody sweet, and when it washes against all that salt and vinegar it works like a winner. 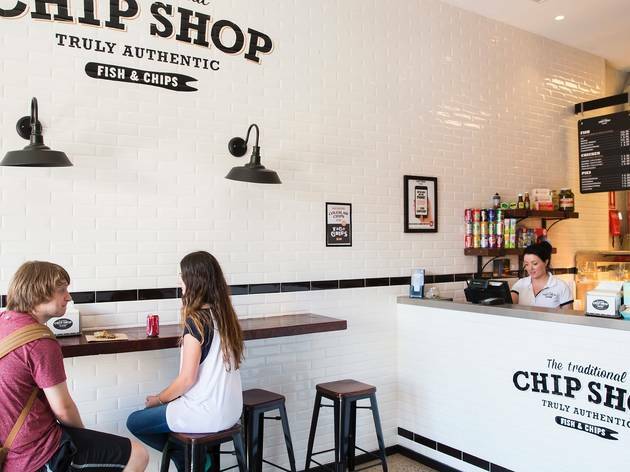 This is a good chippy. It’s distinctly British, and it's worth travelling for if you don't live nearby. 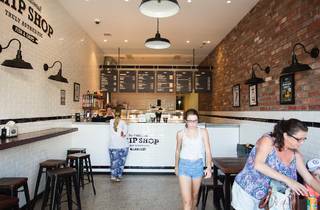 (If you're nearer to Randwick, they've got a licenced sister venue there.) 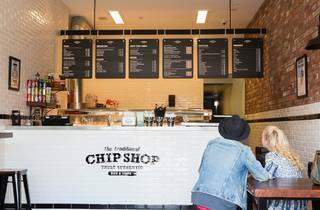 It gives you exactly what it says it’s going to give you, no fancy embellishments or fanfare, just excellent, British-style fish and chips – which is actually rather refreshing in a city bent on fads. For what they’ve set out to do, they’ve absolutely nailed it.